On-line Moisture & Coating Measurement Solutions | Quality2Process B.V. The NDC Series 710e NIR Measurement Systems offer an unrivalled performance with high accuracy, repeatability and stability for the on-line measurement of moisture and/or coating weight in a wide range of applications in the Paper and Converting Industry. The on-line IG710e Single NIR Measurement System for continuous measurement of moisture and coating weight. clay coatings, NCR, polymer coatings, wax and hot melts. The on-line FS710e Single component NIR Transmission Measurement System for continuous moisture measurement of paper and board. Integrated moisture content of heavier weight papers and boards where the moisture content is highly stratified. The on-line SR710e Single or Multi component NIR Measurement System for continuous measurement of thin coatings on metal foils or metallised papers and plastics. 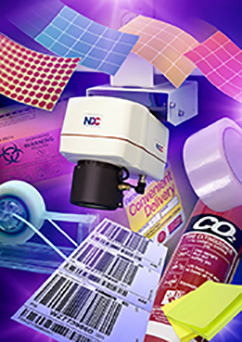 Lacquers, lubes / waxes, barrier layer, cold seals, chromate, primers, isocyanate, adhesives and extrusions.